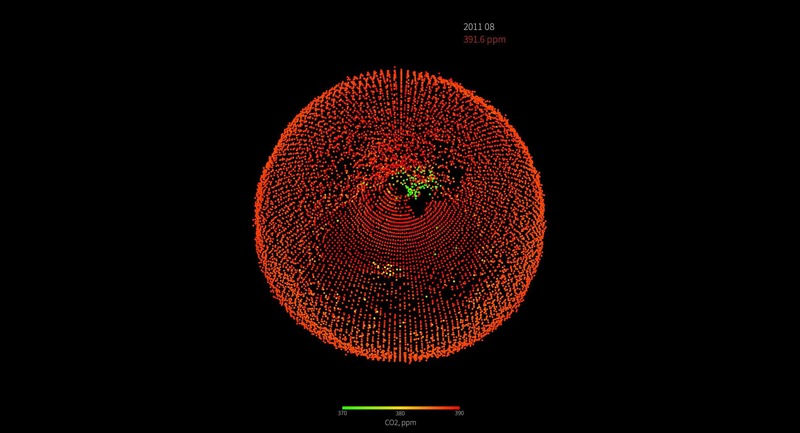 Visualization of the global CO2 distribution retrieved by the AIRS satellite mission (http://airs.jpl.nasa.gov/index.html). 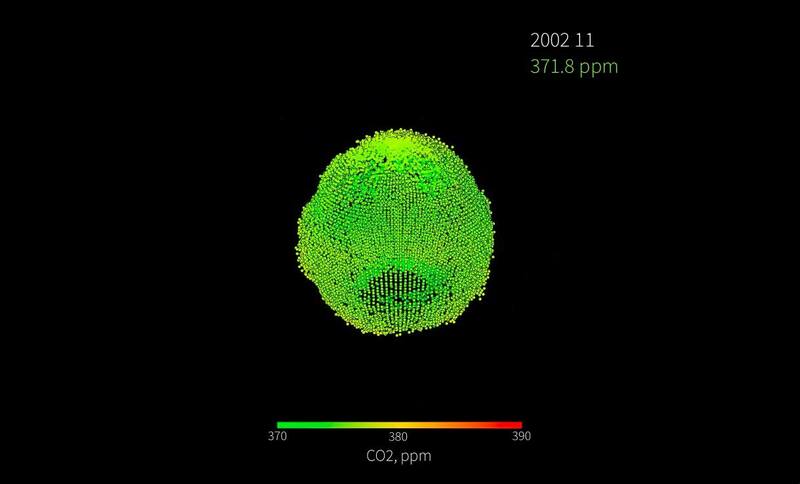 The visualization clearly shows the «breathing» of the planet and increasing level of atmospheric CO2. The data represent mean columnar concentration of CO2: a number of CO2 molecules divided by a number of dry-air molecules in atmospheric column. CO2 is increasing from the beginning of the industrial era. Currently (in 2014), columnar CO2 values are approaching 400 ppm. According to paleoclimate data during the last 800 000 years the maximum CO2 level reached only 300 ppm and never grew as fast as today.